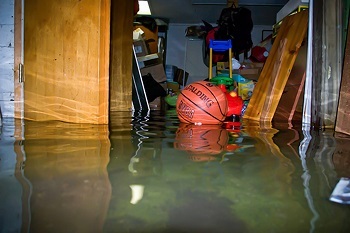 If you have a problem with your sump pump or another basement water issue, we can help! The emergency service is only available for Connecticut Basement Systems waterproofing customers. If you are experiencing a problem with your pump or battery backup system please call 800-541-0487 and follow the prompts to be connected with our 24/7 Emergency Service department who will be able to assist you. Please note: Emergency service fees apply for all emergency service work. Don't forget that annual maintenance is essential in making sure your system remains functional when the big rains do come. To schedule your annual maintenance visit our schedule annual maintenance page. Our emergency service is able to assist with pump replacements, battery backup issues, and alarm sounding. The emergency service is only available for Connecticut Basement Systems waterproofing customers. All warranty work must be scheduled and performed during regular business hours. Emergency rates do apply for all service performed after business hours. The rate between 5pm and 11pm is $250 and $350 from 11pm to 6am. An additional $50 charge applies for holiday visits. Additional fees may apply. No emergency service is done between the hours of 6am and 8am on Monday through Friday as we already have our normal work scheduled so please call in after 8am to request same day service.